The logistics of obtaining, storing and moving the right stock at the right time is a challenge in any industry, but more so in the healthcare business where the consequences of mistakes go further than simply losing money. Steve Mallaby, CEO of Cquential Solutions, spoke to Hi-Tech Security Solutions about the logistics of securely storing and moving medicines through the channel, from manufacturers to patients. Steve Mallaby, CEO Cquential Solutions. Additionally, in the case of medicines which must be stored at the correct temperature, it is critical to ensure the ‘cold chain’ is preserved across the entire supply chain. Established in 1935 in India, Cipla is a global manufacturer of pharmaceuticals, with a vision of providing world-class medicines at affordable prices. It manufactures more than 1500 products across 65 therapeutic categories. It currently operates in more than 170 countries. Cipla is one of South Africa’s market leaders in terms of both value and volume. Cquential Solutions is a software development and services company that provides complete solutions for supply chain and warehouse management. Cquential’s cloud-based, intelligent warehouse management solution (WMS) met the challenges posed by Cipla’s move to the new facility. In the world of large-scale pharmaceutical distribution, pinpoint accuracy is essential. From a regulatory perspective, medical products must be traceable down to the item. This means from the point of receiving through to sampling, positive release, all the way through to invoice. Mallaby says there are two reasons for this. “Firstly to trace a batch should it be illegally sold, and secondly, in case of a recall or an enquiry from regulatory bodies requesting a re-test. 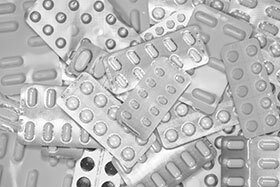 Additionally, legislation dictates that samples from each batch must be retained for prescribed periods. Assembling the orders – known as picking in the industry – is difficult because 98% of the distribution is a combination of both cases, plus fine picking. This makes picking orders very inefficient unless a system is in place, so it is vital that the warehouse is correctly set up to support operational efficiency. It is important to understand that hundreds of orders are coming in daily and on each order there are many individual lines making the consolidation of efficient picking very complex. For example, if one additional minute per item is introduced to a situation where thousands of items are being picked per day, costs escalate significantly. At month-end, the warehouse can be extremely busy with in excess of 7000 lines a day that must be picked, checked and dispatched. This painstaking attention to detail must, of course, be combined with the business need for efficiency and speed. Given the sheer volumes of Cipla’s South African operation and the large range of stock items, it was clear that achieving the dual goals of efficiency and accuracy required a flexible yet robust warehouse management system. Also, the company was determined to be able to offer market-leading turnaround times and customer service despite the fact that its Cape Town distribution centre was located far from other population centres. “The accuracy of the Cquential solution greatly enhanced Cipla’s audit processes and assisted with compliance to the various regulations that govern pharmaceutical suppliers,” adds Mallaby. “It also provided the necessary muscle to enable Cipla to bid for and win large national tenders, such as the R2 billion contract with the Department of Health to supply anti-retroviral drugs for the South African government’s HIV/ AIDS programme from 2015 to 2017. The Cquential team implemented the Cquential Warehouse Management System over a period of approximately nine months. The first step was to conduct business workshops to document Cipla’s requirements, after which the system was suitably configured. A big part of the job was designing an interface with Sage Evolution ERP, as well as with the IT system used by the courier company. It was also challenging to introduce a new system and its allied processes into an environment that had no previous warehouse management system experience. To streamline the process, Cipla’s management introduced a focused change-management procedure. • Guaranteed delivery of the right medicines to the right people at the right time. In summary, logistics in the healthcare sector is heavily regulated. For example, whenever medication is handled, particularly within the warehouse, legislation dictates that only certain individuals may handle certain goods. For example, only qualified pharmacists may handle certain schedules of medication. “The WMS must be intelligent enough to send the right jobs to the right people, and direct where goods may be stored within the warehouse, based on their schedule rating,” explains Mallaby. “With the advent of IOT, it opens up opportunities to increase the ability to track goods in real time, monitor temperature, send alerts etc.